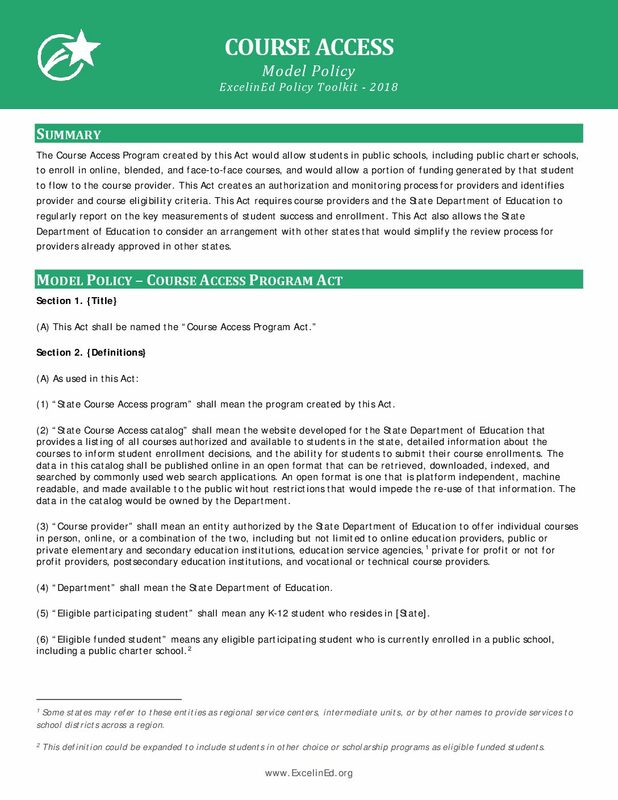 A state-level policy that provides students with expanded course offerings across learning environments from diverse, accountable providers. 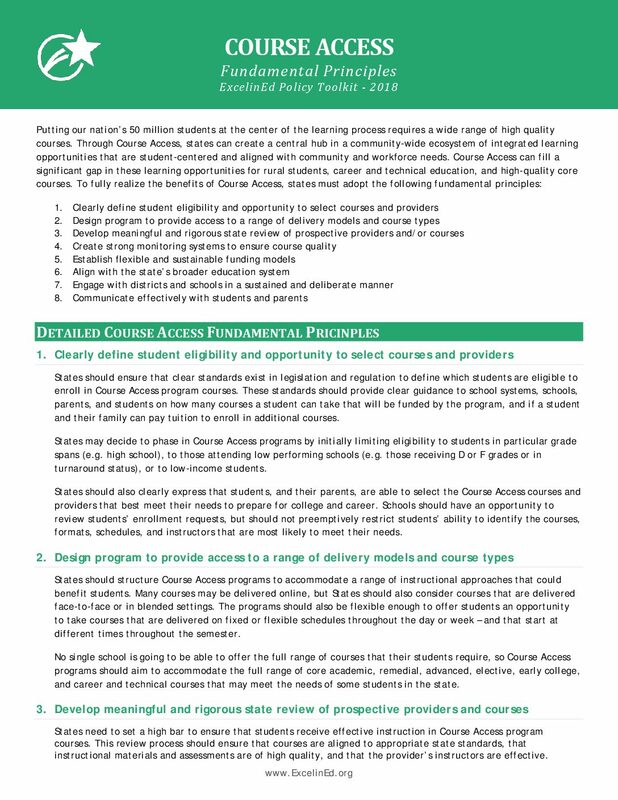 Learner-centered education requires broad access to high-quality coursework. Yet too many schools and districts are unable to offer critical courses necessary for college and career readiness. 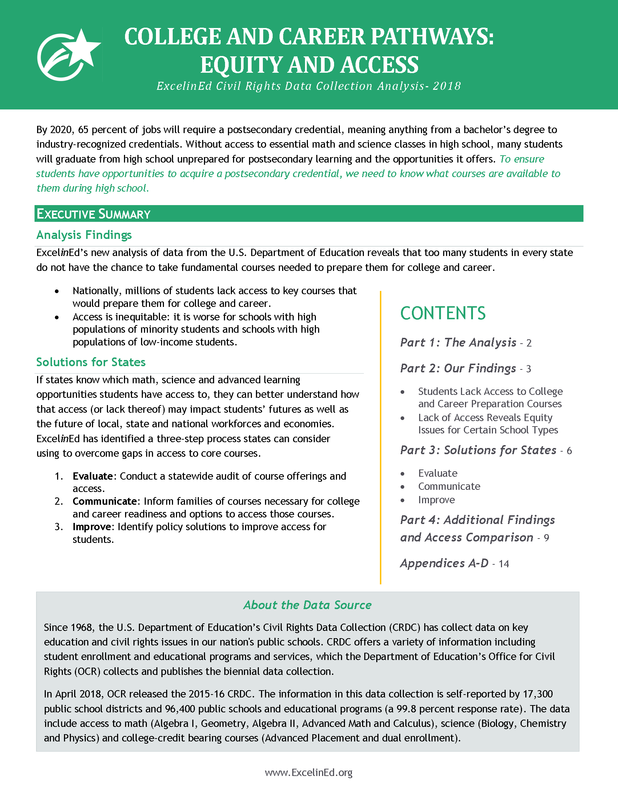 For many students, lack of access now to college and career-ready coursework will translate to fewer opportunities for a well-paid job and continued future advancement. 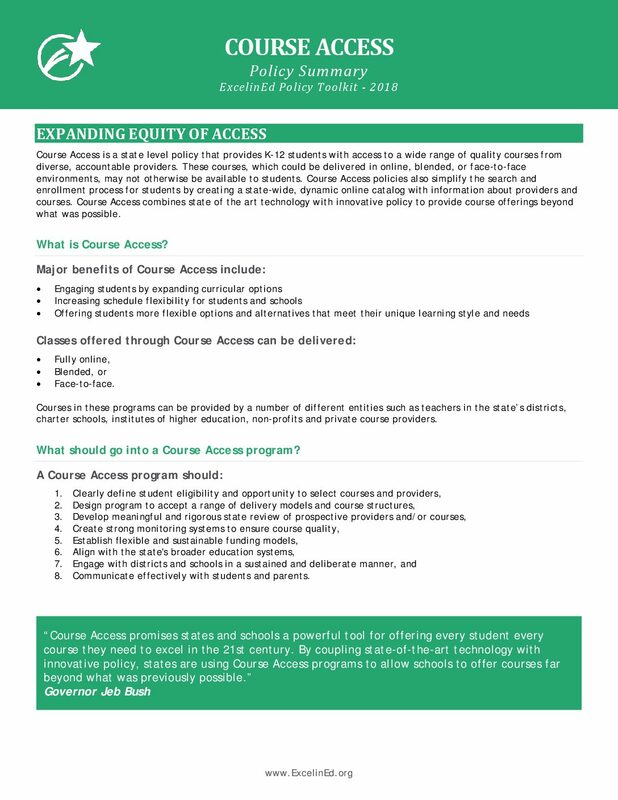 Course Access helps states to fill those gaps by creating a centralized delivery system for high-need courses from a range of high-quality providers. 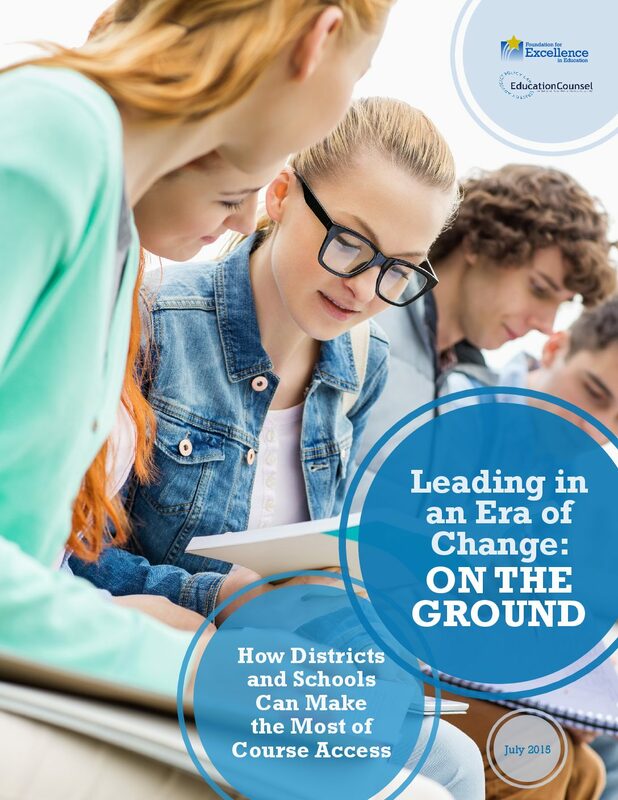 Schools can engage with students to provide the courses that best meet their needs and pathway goals, without being limited by geography or capacity. 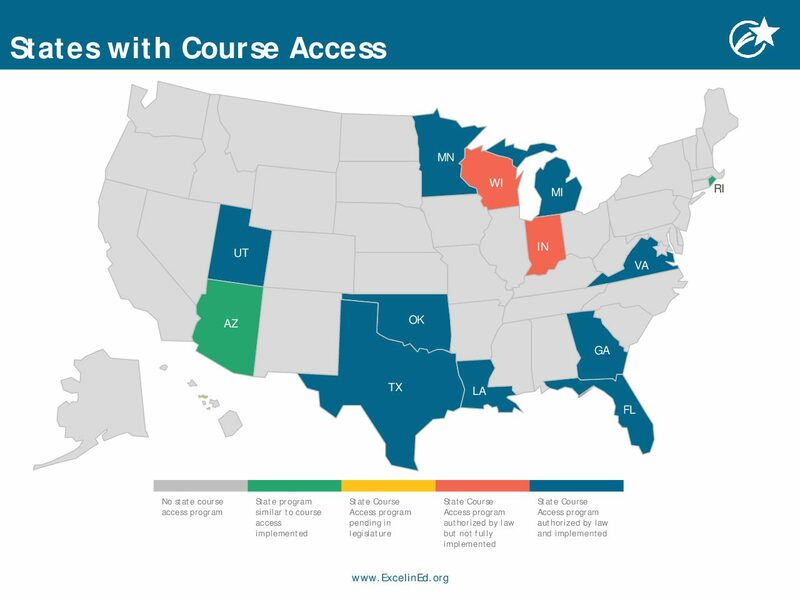 ExcelinEd’s course access policy addresses college and career-ready coursework gaps through model legislation, incentives and guidance, allowing students to access an online marketplace of high-quality courses. 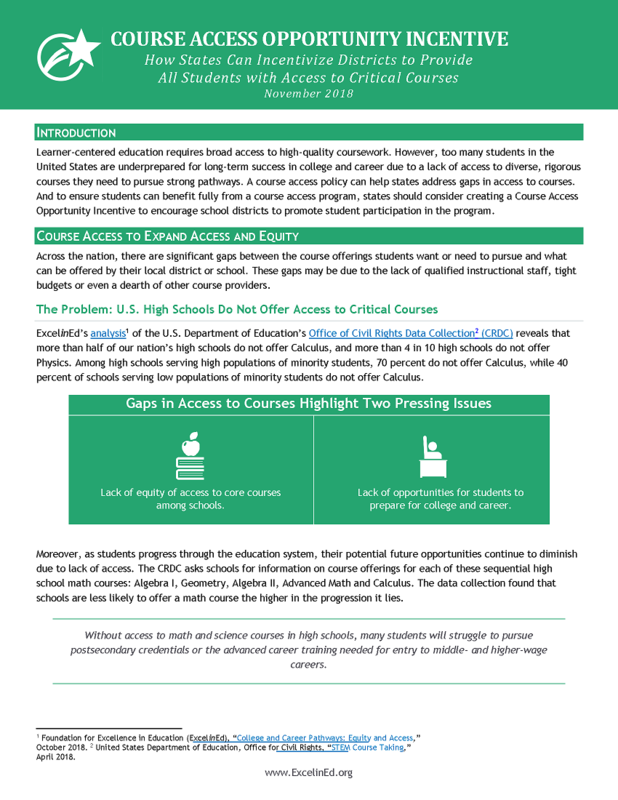 ExcelinEd’s report College and Career Pathways: Equity and Access identifies significant gaps in high school students’ access to college and career preparation courses. 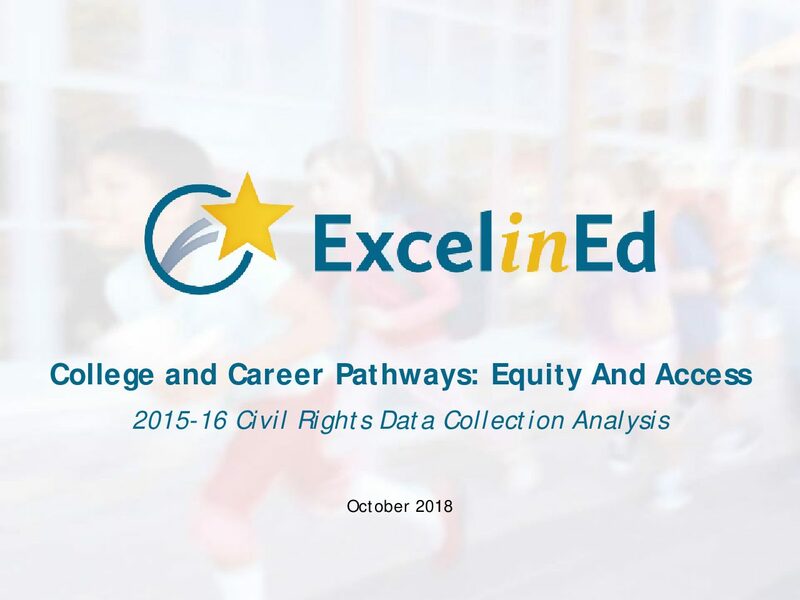 Based on ExcelinEd’s analysis of the U.S. Department of Education’s Civil Rights Data Collection (CRDC), this report provides a startling look at access and equity in our nation and presents a path forward for states. 2018 was filled with amazing progress. Thank you!